Andre Lamont Sanders was the oldest son born to the loving parents of Andrew William and WandRa Merritt Sanders on March 29, 1984 and died on October 16, 2018 in Jacksonville, Florida. He graduated from Bishop Kenny College Preparatory High School class of 2002 in Jacksonville, Florida and from the Robert Morris University, 2006, Pittsburgh, PA. 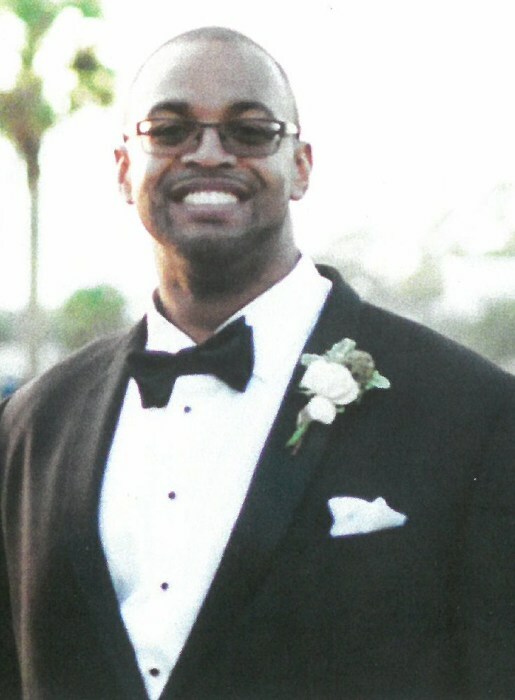 He was employed with UPS for 12 years and was an active member of San Jose Church of Christ. He was a semipro football player with River City Commandos. He enjoyed Network Marketing, Olympic Weightlifting and CrossFit Training. He leaves to cherish his memory, his parents, Andrew and WandRa Sanders; brothers, Adrian Sanders (Katie) of Jacksonville, FL and Fionn Sanders of Los Angeles, CA; uncles, Garry Merritt (Janet) of Jacksonville, FL, Gregory Brown (Kathy) of Baltimore, MD and William T. Bowens of Jacksonville, FL; aunts, Dr. Marian Gibson (Tony) of Tampa, FL and Geraldine Wildgoose of Monticello, FL; and a host of nieces, nephews, cousin, other relatives and many sorrowing friends. In lieu of flowers please feel free to make a donation to The American Heart Association.